Great Day, Inc. Introduces Center-Lok Overhead Gun Racks for Trucks! The Center-Loks install in an amazing two minutes – no drilling or bolting required! The Center-Lok Gun Racks come in two models – the CL1500 holds two guns and the CL1501 is designed for one gun. The Center-Loks fit all makes and models of extended cab, or crew cab pickups that have center door posts. With its patented “Opposing Forces” installation system, the Center-Lok is the only gun rack ever that does not require drilling or bolting that sometimes voids the truck’s warranty. The Center-Lok Gun Rack is the perfect accessory for truck owners – perfect for transporting firearms for hunting purposes or for personal protection. 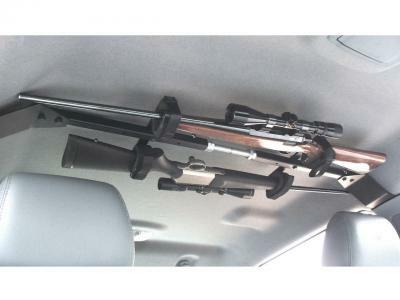 It positions the gun(s) snuggly against the truck’s headliner – out of sight of passers-by. The Guns are held in cushioned, moldable cradles and secured with Velcro straps. Suggested retail $189.00. For more information, call 800-649-1918 or email info@greatdayinc.com. 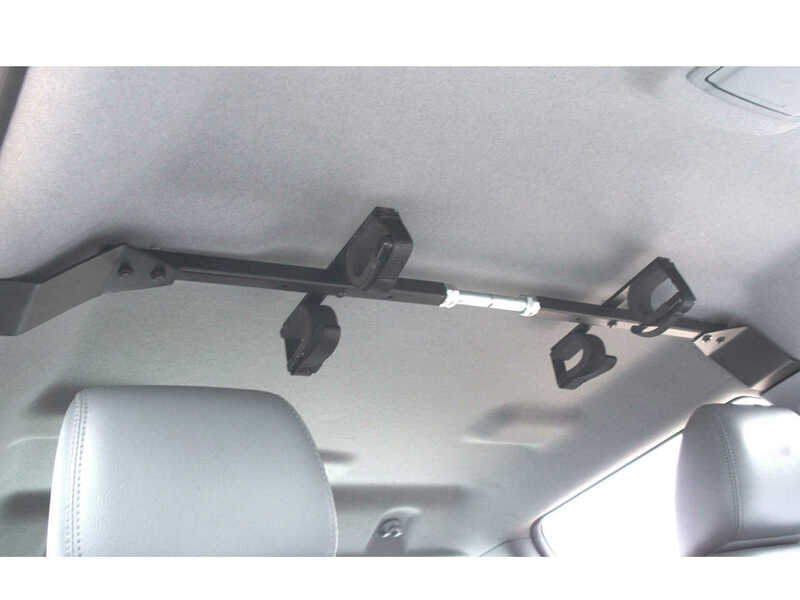 See the Center-Loks, also, at www.greatdayinc.com under “Truck Accessories”.